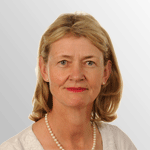 Hi, I’m Dr Karen Morton, co-founder of Dr Morton’s – the medical helpline©. I am a consultant gynaecologist and obstetrician (practising for over 30 years) and have spent many happy years delving into and, hopefully solving, a wide range of women’s health issues. During my time as a gynaecologist, no doubt due to the increase in international travel, I have noticed a rise in the number of female travellers coming home with serious sexual health and other medical problems. These had developed from minor problems contracted abroad such as cystitis, urinary tract and vaginal infections, thrush, diarrhoea and contraception failure which had not been adequately (if at all) dealt with at the time. Although these issues can be extremely painful and worrying, all are easily treatable in the UK and indeed abroad, as long as you have access to the correct advice and medications. But due to a variety of factors many of my patients had been unable to get the treatment they needed. Maybe they had found themselves in a remote area far from a reliable doctor, or they did find a surgery but were reluctant to have a gynaecological examination by an unfamiliar doctor in a language they could not understand, and very often they had a bus or plane to catch and so couldn’t afford the time (or money) to seek out a doctor if they didn’t want to miss a flight. A myriad of reasons had meant that these simple conditions had sometimes developed into much more serious illnesses, some even requiring a hospital stay. With these women in mind, I designed the Gynae Travel Pack© and founded Dr Morton’s – the medical helpline©. This unique pack is specifically designed to help ensure that at the first hint of a problem any woman can start to self-diagnose (a simple yet comprehensive leaflet goes through the necessary steps) and then contact one of our expert Doctors by phone or email to be sure they treat their problem promptly and appropriately, using the best prescription medications available. This is a unique service by offering access not only to GPs but also to gynaecology specialists from wherever they are in the world. Often all women need is the reassurance to be gained from speaking to a doctor they can relate to, and in the rare situation when the medical symptoms are serious the Doctor will immediately give the important advice that the patient must seek a hospital for treatment. It means that young women, often away from home for the first time, and indeed their parents are reassured in the knowledge that there is always someone on the other end of the phone at any time of the day or night to help them. With Gynae Travel Pack© and the helpline I hope to empower and reassure all female travellers including those on holidays, students on gap years, women travelling for business or working abroad, and everything in between. Already, it has proved invaluable to a number of women, saving them time and money as well as a lot of pain! Let’s ensure nothing hinders your freedom to enjoy your time away. Of course it’s not just the young and it’s not just women who travel and need medical support. There is now a Travel Pack for men and women of all ages. People often ask for advice before they go as, for example, certain types of traveller’s diarrhoea are more common in certain parts of the world and some people constantly get cold sores when they travel. 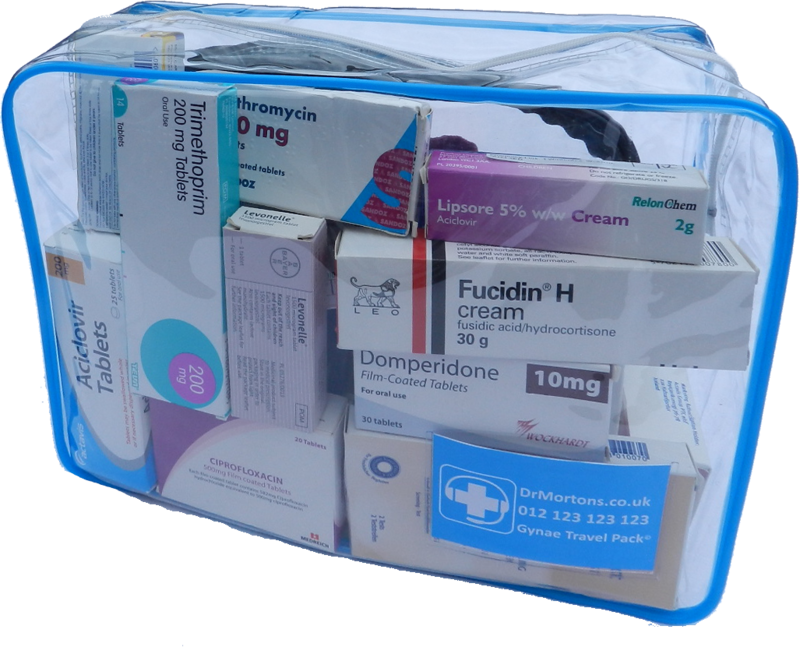 The Travel Pack will be tailored to individuals as the medication is prescribed especially for you. Sitting in a bar in Cusco, in the process of discreetly passing wind, I had that feeling that it might not be prudent to do so without a toilet bowl underneath me. For a few days, I had torrential runs. I’m not all that keen on taking pills so I thought I’d wait it out, trying to stem it with Diarolyte and spending lots of time horizontal, but feeling drained, and after a pretty unpleasant 21 hour coach journey, I resorted to Ciprofloxacin. It cleared up within 48 hours. As we arrived in Iquitos, my friend complained of a blistery spot near the corner of his mouth. I knew it to be a cold sore, something he claimed never to have had before. I suggested he might have been slightly more discerning during our nights out on the trip thus far. Whatever the case he was most grateful when I dug out the Aciclovir tablets and ointment, within a week it had cleared up completely and he was back to his old self, clearly having learnt nothing from the experience. From Iquitos we headed deep into the Amazon jungle, where the easiest animal to spot, is the Mosquito. We were glad to have my tube of the miracle ointment – Fucidin. Within five days, us and our American coadventurers had got through the lot. I said goodbye to my friend at Lima, and began to make my way to Galapagos. From that point on, other than a bit of paracetamol for a head ache in Quito, I had no further need of Dr Morton’s Travel Pack (hammerhead sharks are fish eaters) until the last night when having met a beautiful Canadian girl, I went frantically digging amongst my smelly clothes for a durex. Thank you mum, and thank you Dr Morton’s”. Karen, How can I buy one of these for Charlotte please? Hi Jane, Thank you for making contact.